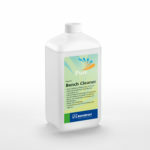 Application: Apply the cleaning solution with a soft brush or sponge cloth. Allow it to react on for a short time (up to 5 minutes) and rinse with clean water. Repeat the treatment for stubborn dirt marks. 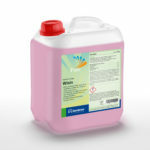 The cleaning solution can also be sprayed on with a sprayer. 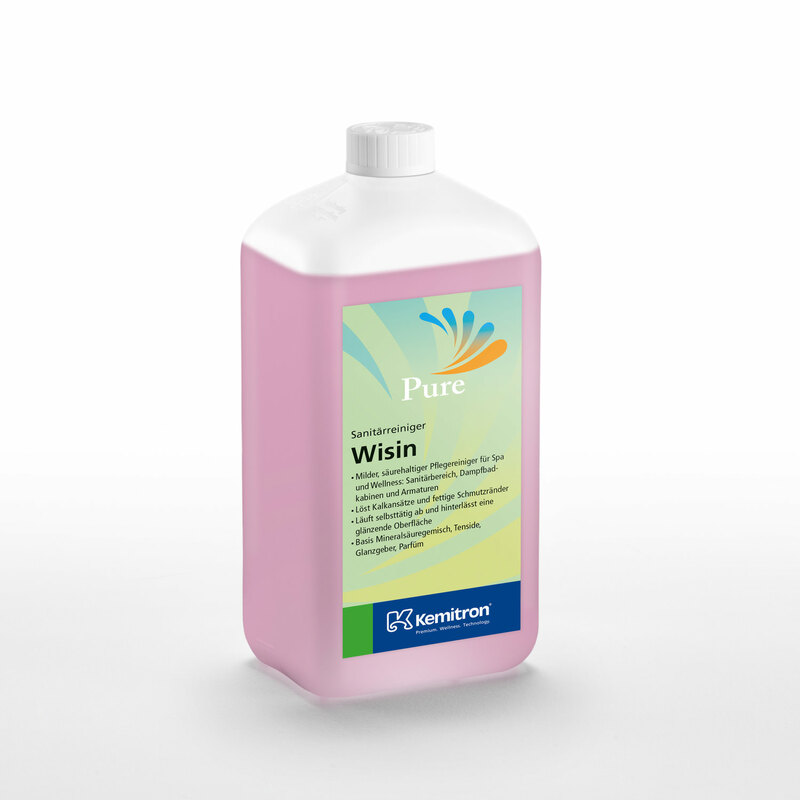 For small steam bath cubicles spray Pure Wisin onto a damp sponge cloth and wipe the surfaces with it. 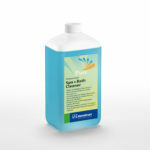 Do not allow the cleaning solution to dry onto the surface. If the rinsing water is hard and limy, dry the surfaces and metal parts. Do not use undiluted on aluminum, susceptible enamel, polished marble and limestone, decorative glazing and other acidsusceptible materials.